Casa Hualpa II is located in the heart of Miraflores, its 5 blocks from the Pacific Ocean, one of the most touristic places. We have ensuited rooms and the breakfast is included. We offer free bicycles according to availability. 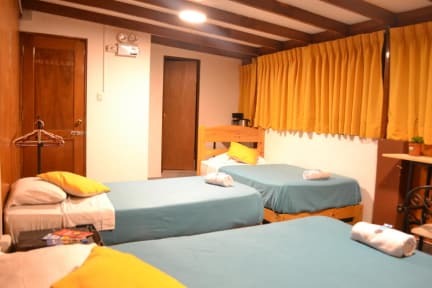 Casa Hualpa II is located five blocks away from the Kennedy Park, one parallel from the main avenue, Jose Pardo (between blocks 5 and 6). Five blocks away from the ruins Huaca Pucllana and two block away from the supermarket Vivanda. We are also 30 minutes away from the Center of Lima. We have private rooms and Full Studio rooms. Our rooms are ideal for couples, families and groups. 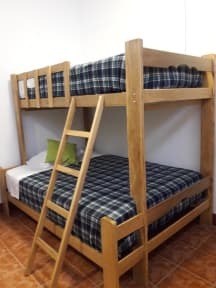 We also welcome big groups.We have 2 properties in the same block and we have a very good wi fi, extra blankets, hot water all day, personal toiletries, tables, lamps and lockers outside the rooms in front of reception. We also have fully equipped rooms with kettle, hairdryer, television, Netflix, coffee maker, frigobar, free herbal teas.